Moshood Abiola Polytechnic, MAPOLY Acceptance fee payment details for the 2016/2017 academic session. Following the release of the Moshood Abiola Polytechnic, MAPOLY 1st admission list, the management of the polytechnic released the acceptance fee payment procedure and the deadline for the payment. 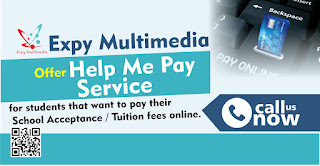 Candidates offered provisional admission into MAPOLY Full-Time National Diploma and Higher National Diploma Programmes should visit www.mapoly.edu.ng and make a payment of Twenty-Five Thousand, Five Hundred Naira (N25,500.00) only via cash/debit ATM Cards from any bank of their choice. Meanwhile, candidates who must have been offered provisional admission on the respective first batch lists, have till Friday, 21st October, 2016 to pay the mandatory acceptance fee of Twenty-Five Thousand, Five Hundred Naira (N25,500.00) only via the Polytechnic portal on www.mapoly.edu.ng or forfeit the admission offer. Admitted candidates, parents, and guardians are advised to visit the Polytechnic website on www.mapoly.edu.ng, Twitter handle: @MAPOLYINFO or Facebook on www.facebook.com/Moshood Abiola Poly Info for further details or better still mail enquiries@mapoly.edu.ng. However, the acceptance fee is ₦25,500 and the payment/registration/print out is ₦1,000; giving us the total of ₦26,500. 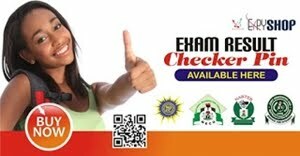 Get your JAMB Result Slip with passport on it for MAPOLY Post-UTME registration. Click Here to Apply! 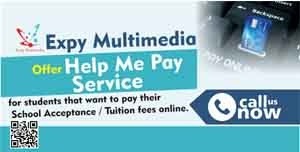 For payment of Acceptance Fee, please contact Expy Multimedia or Call / whatsapp 08080085555 or visit us at 82, first floor, Chief Amosun plaza, Oluwo junction, Onikolobo, Abeokuta, Ogun State. For now there is no specific deadline, admitted candidates are advised to make the payment as soon as possible so that they can complete other stages of registration before resumption.